KAMPALA – A 27 man delegation departed for Juba from Entebbe International Airport on Monday morning aboard Rwandair, flight WP 0434. FUFA Executive committee member Hajji Abdul Lukooya Ssekabira is the leader of delegation. Head coach Bbosa is assisted by Charles Ayiekoh Lukula with former Uganda Cranes goalkeeper Sadiq Wassa the goalkeeping coach. 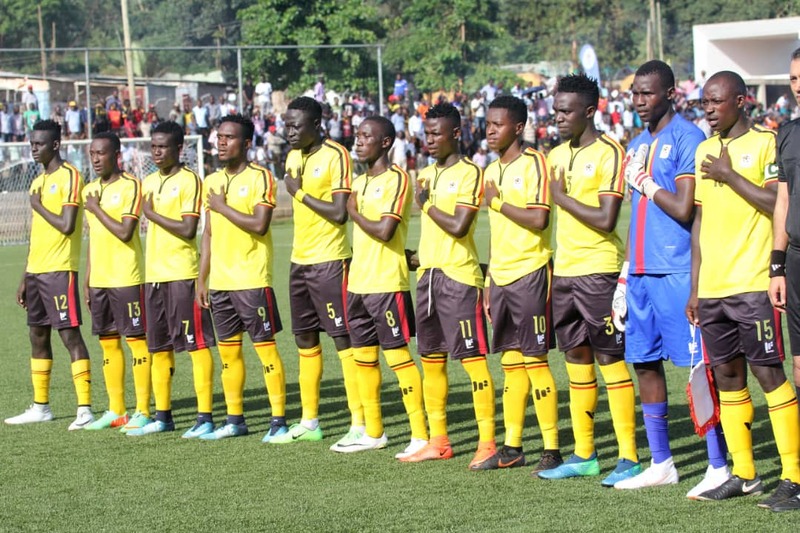 Uganda U-23 head coach Wasswa Bossa, on Sunday, named the 18 man squad that traveled with the delegation and is set to face South Sudan. Majority of the players who made the match day squad last week as Uganda won 1-0 during the first make the day to South Sudan. There are only two additions on the team in Nyamityobora left-back-Alex Komakech and Ashraf Mugume, a creative midfielder. Uganda Kobs won 1-0 in the first leg played at the Star Times Stadium, Lugogo courtesy of a penalty well taken by Mustafa Kizza in the 90th minute. The winner on aggregate will face Tunisia at the next stage of the qualifiers. Other players:Musitafa Mujuzi, Musitafa Kizza, Ashiraf Mugume,Geoffrey Wasswa, Lawrence Bukenya, Bashir Asiku, Shafik Kuchi Kagimu, Allan Okello, Joel Madondo, Steven Desse Mukwala, Rashid Toha, Julius Poloto, Joseph Junior Semujju, Alex Komakech, Ezekiel Duncan Sseninde, Trevor Ssemakula.